Happy Saturday my lovelies. Today has mostly consisted of me incorporating my brand spanking new logo into my site…hope you like it! I’ve also been busy making my site a .com and .co.uk so even more changes to come soon…eek doing a little jig with excitement! I’ll be working on more posts later, but only after I have enjoyed a nice bubble bath and face pack. Needless to say I haven’t even gotten dressed today…oh the shame! 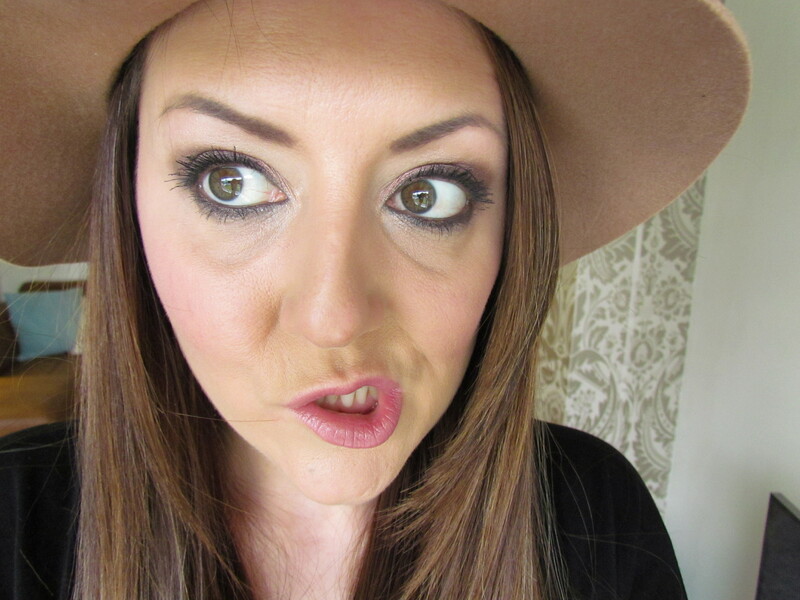 I thought I would post yesterdays OOTD to show what I paired my new NAKED 3 smoky eye look with. I went for an oversized black tshirt with my high waisted Vero Moda jeans…they are perfect for tall girls. 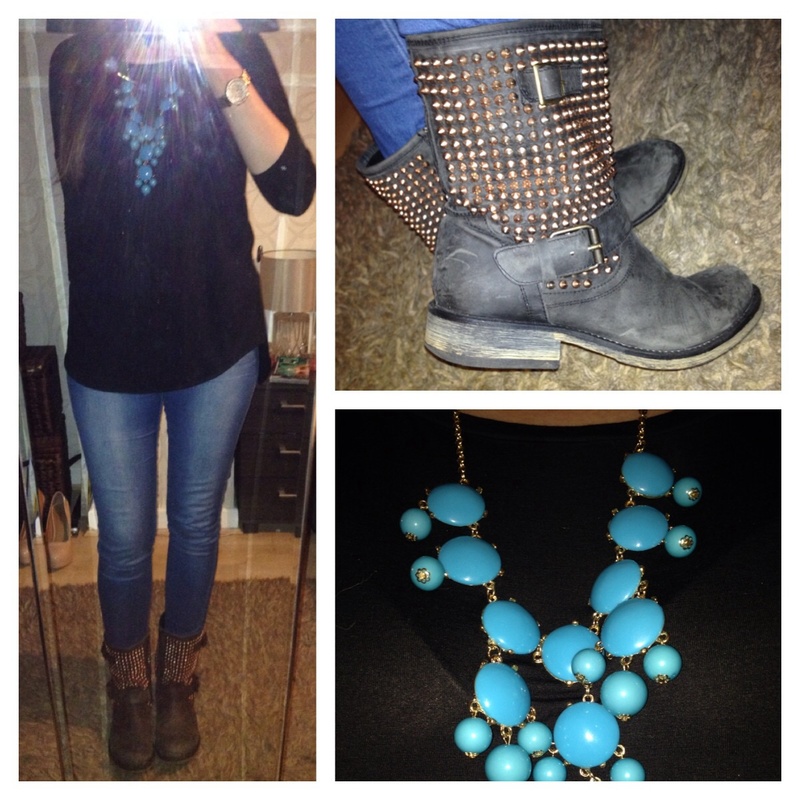 I accessorised with my £1.50 ebay necklace that I love, Michael Kors watch…obvs and Steve Madden Monicaa Biker Boots. As you may have seen I paired it with a Rose Gold smokey eye and a berry lip. So that’s kinda how I was feeling yesterday when I was running about doing a million things! Today is more about relaxation and sorting my saved content. Dinner for 10, plus a smoky eye…or two! Super cute. I love mixing more feminine items, like you’re necklace, with edgier items. like your boots!